More bike lanes are popping up around St. Louis, as the city tries to become more cyclist friendly. The change, however, comes with growing pains. 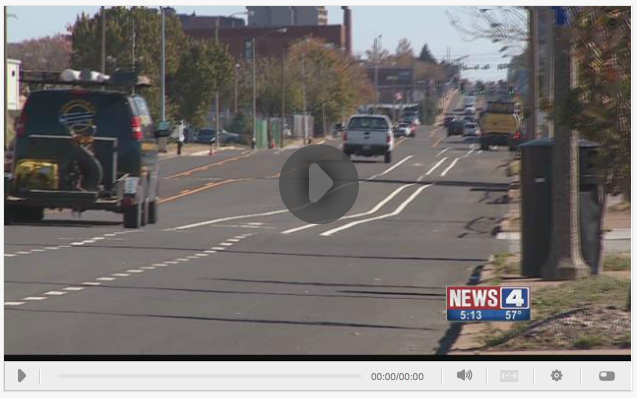 On Thursday, crews painted bike lane stencils on the westbound lanes of Chouteau Avenue, but some drivers may be uncertain on how to navigate the newly reconfigured roadway. “With any new infrastructure it can be easy to get confused,” said Emma Klues with Great Rivers Greenway. For cyclists like Lee Flanigan, who rides his bicycle to work each day, sharing the road with drivers can be challenging. “You’re in your lane where you’re supposed to be…[and] they’re not paying attention, or they don’t see you,” said Flanigan. Although the learning curve will have a few speed bumps along the way, Klues said it’s important for drivers to learn the road rules. “Just like on the highway, solid lines mean you have to stay there. A dash means as long as you check to make sure there’s not a bike you can get over,” said Klues. The Bike St. Louis Network currently has nearly 150 miles of streets with bike routes.